The best thing about this particular film is that it stars the wonderful Rebel Wilson, a hugely popular actress from Australia who is perhaps best known for her role in Bridesmaids and also in the Pitch Perfect films, where she plays the loveable character Fat Amy. 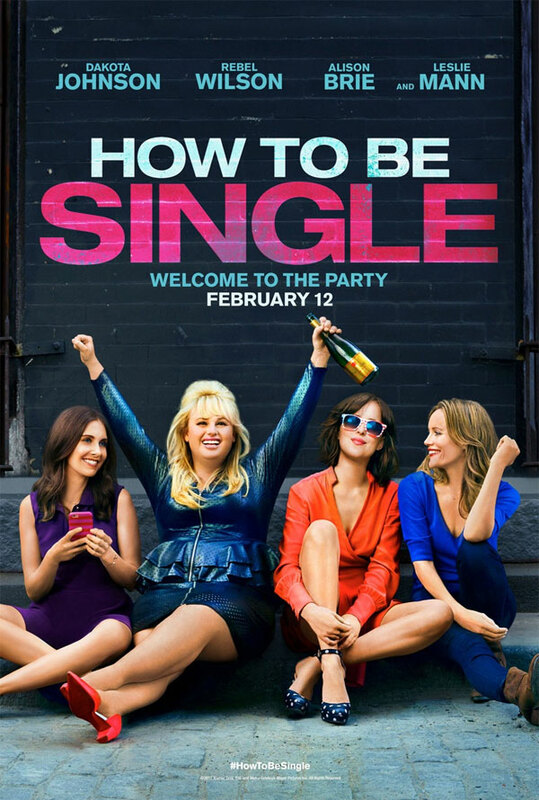 How To Be Single also stars Dakota Johnson, who is the daughter of Melanie Griffith and Don Johnson, and is most famous for her role in 50 Shades of Grey. This movie is based around the life of Alice (played by Dakota Johnson), who has just moved to New York to become a paralegal. She soon becomes good friends with her somewhat crazy co-worker Robin (played by Rebel Wilson) and together they have some very eventful nights out as single ladies looking for decent guys. If this film didn't star Rebel Wilson, then it probably wouldn't be anywhere near as enjoyable, because when she comes on the screen, she is just amazing. There is something about her that is just so funny and appealing, and clearly many of her lines are improvised or embellished on the spot. And Rebel does seem to have a genuine chemistry with co-star Dakota, which is present in their many scenes together. Nili Rating: 4 out of 5 - If you are a fan of Rebel Wilson (like I am! ), then this is a great watch, if not, then maybe don't bother.